Even if you have set up your own wired network in the past, you probably aren’t familiar with setting up a wireless network. The whole process is fairly simple, and you can be up and running in just a few minutes. This example uses Proxim Harmony 802.11b CF cards in the Pocket PCs and a Proxim Harmony 802.11b Access Point to allow them to access the network. You can find out more about these items at the Proxim Web site ( Proxim.com). 1. Connect the Access Point to the hub, switch, or router on your network. The Access Point connects with an ordinary Cat-5 cable. You’ll want to place the Access Point as high as possible to maximize the range. 2. Place your Pocket PC in the sync cradle and make certain that ActiveSync connects to your Pocket PC. 3. Insert the CD-ROM that came with the wireless network cards and install the drivers. Typically the driver setup will run automatically when the CD-ROM is inserted into the drive. Make certain that the drivers are fully installed on your Pocket PC before continuing. 4. Remove your Pocket PC from the sync cradle and turn it off. 5. Insert the wireless network card into your Pocket PC. Your Pocket PC will automatically turn itself back on when the card is inserted. 6. Tap the Start menu and choose Settings. 7. Tap the Connections tab and then the Network Adapters icon. 8. Tap the wireless network card, as shown in Figure 1, and then tap Properties. 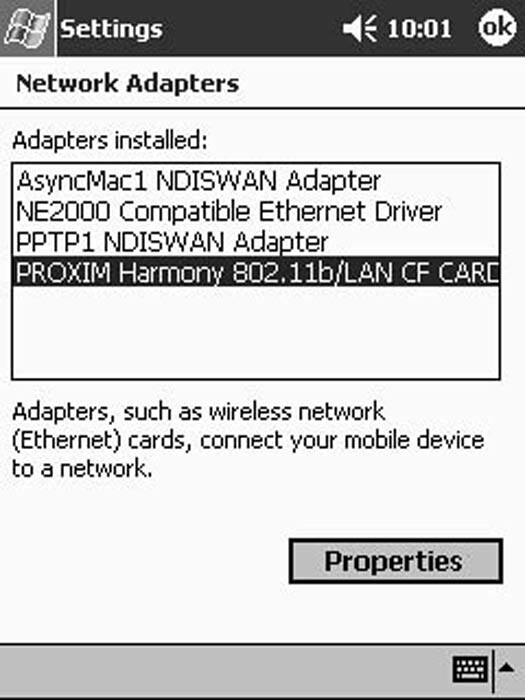 Figure 1: Choose your wireless network card. 9. Enter the correct settings for your network. Figure 2 shows a typical setup for networks that use Internet Connection Sharing. In some cases you may be able to use the Use Server-Assigned IP Address option, but you will probably find that setting the network card to specific IP addresses works better on small networks like you might have at home or in a small business. 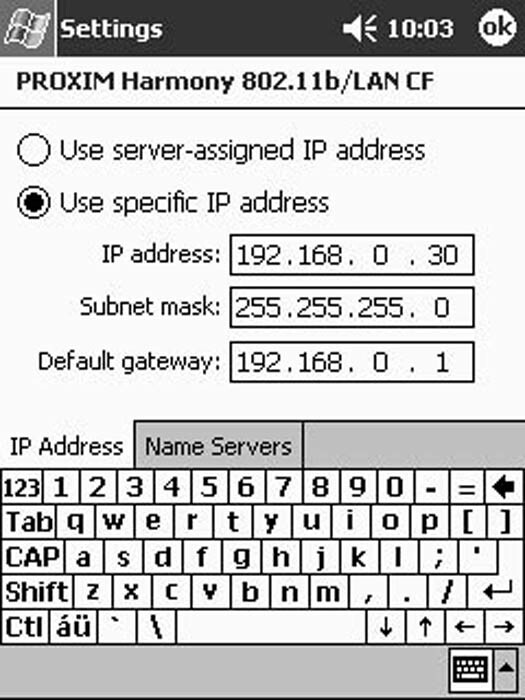 Figure 2: Select the correct IP addresses. 10. Tap the Name Servers tab and set the name server addresses, as shown in Figure 3. If your ISP has given you specific addresses for the DNS and alternate DNS settings, enter those addresses; otherwise, leave these two fields blank. If you know the IP address for the PC on your network that has your ActiveSync connection, enter that address in the WINS field as shown in the figure. This will enable your Pocket PC to connect to that PC a little more quickly. 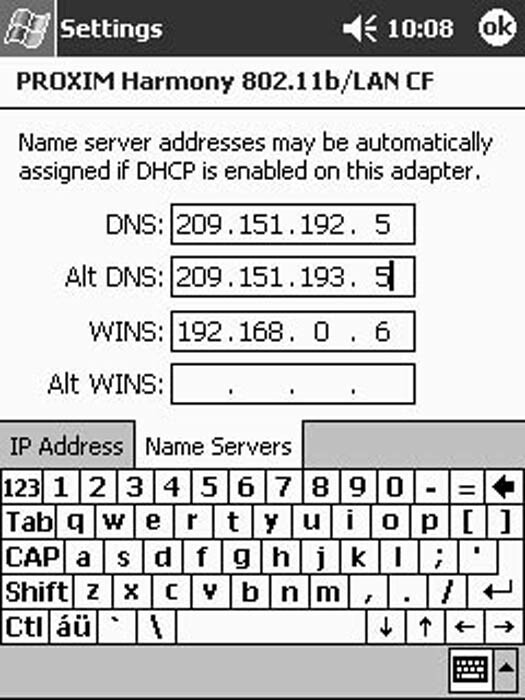 Figure 3: Set the name server addresses according to your ISP’s directions. 11. Tap OK as many times as necessary to close all the screens. Then press the Reset button to restart your Pocket PC and apply the changes. 12. Tap the Start button and choose Settings. 13. Tap the System tab and then tap the Wireless LAN Setting icon. If you use a different brand of wireless network card, you may find that this icon has a different name and some different options. If so, you’ll need to follow the directions that came with the wireless network card. 14. Tap the Configure tab. 15. Select Infrastructure as the Network Type. The other Network Type options apply to wireless networks that do not include an Access Point. Your wireless network should now be functional.